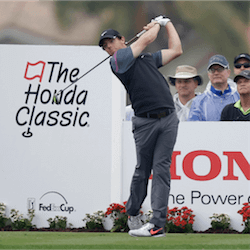 From Thursday, February 23, to Sunday, February 26, the PGA National Golf Club’s Champion Course in Palm Beach Gardens, Florida, will host the 45th Honda Classic. Australian PGA fans have an extra incentive to watch it this year: Adelaide’s Adam Scott will be returning to the tournament to defend the title he won last year. Currently at No. 7 on the PGA rankings, Scott is assured of the support of plenty of online betting fans. But he isn’t the only Top-20 golfer in the field: he’ll face competition from three English players: World No. 12 Danny Willett, No.13 Justin Rose, and No. 16 Paul Casey. Punters should also watch out for Padraig Harrington; the Irishman has won the Honda Open twice, most recently in 2015, so he’s hungry for a third win. The USA’s Zach Johnson and Stewart Cink, Florida resident and Australian ex-pat Stuart Appleby, and Northern Ireland’s Graeme McDowell are also expected to be strong contenders. Of course, for many fans, the big news at the 2017 Honda Classic is the return of Tiger Woods. This was, after all, the tournament at which he injured his back in 2014, leading to an absence of almost two years. In 15 months, he has undergone surgery twice and spent countless hours rehabilitating the injury. His absence caused him a disastrous drop in the rankings: at one point, the former World No. 1 and living golf legend was languishing in the low 800s. However, it took him just one tournament, the Hero World Challenge in the Bahamas in December, owned by Woods himself and staged in aid of the Tiger Woods Foundation, to show just how much he has left in the tank. He rose 250 places in the rankings overnight to No. 657, proving that he is never a golfer that opponents can underestimate. His back remains a worry, however, and it will be tested in the three tournaments he has lined up before the Honda Classic: the Farmers Insurance Open in San Diego, a European Tour event in Dubai, and the Genesis Open in Los Angeles. If Woods makes it through all those unscathed, he will no doubt have jumped several hundred more places up the ladder. He stands an excellent chance of taking the Florida tournament; a victory that so far has eluded him. 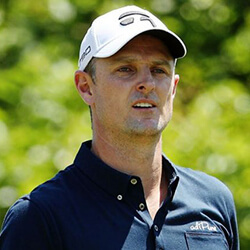 World number two Justin Rose has won the last two holes of the WGC Match Play to level with Eddie Pepperell and remain unbeaten so far in the tournament. Rose …. Britain’s Jodi Ewart Shadoff currently shares early lead with seven under par 65 in perfect conditions while playing at the Women’s Australian open. The 41 year old claimed seven birdies …. 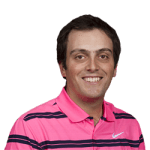 Francesco Molinari has held on to his leading position for the European Tour’s winning title despite his two late bogeys in a four-under-par 68 that kept him within two shots …. 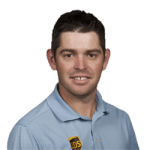 Louis Oosthuizen birdied the whole while Sergio Garcia bogeyed the par-four 18th after the third round of the Nedbank Challenge in Sun City. 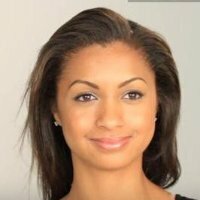 The Spanish player will be going into …. Tiger Woods has told reporters that he was confident going into the US Open after his recent successes. 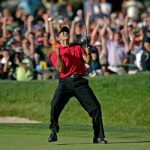 Woods recently rose to 67th in the world after his performance at ….